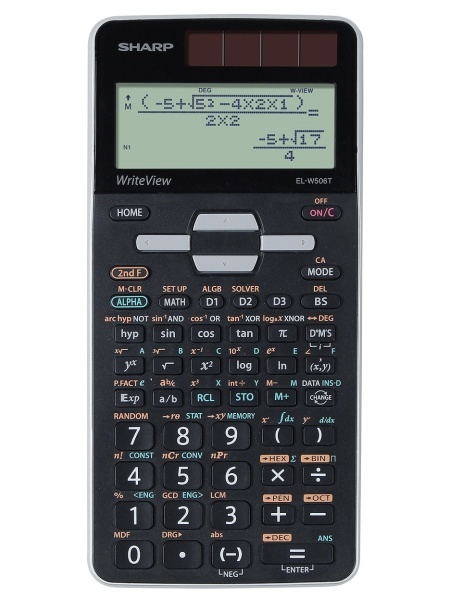 The new EL-W506T is the most advanced scientific calculator in the Sharp portfolio. It contains 640 mathematical functions and is especially suited for high school students and universities. The "WriteView" display allows you to write and display expressions in the usual way, as on paper. The sturdy plastic cover protects the calculator against scratches and falls, solar power saves the backup battery.